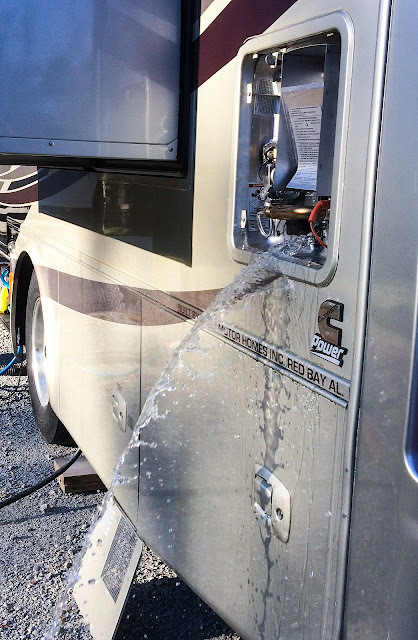 Because we live in our motor home full time, we have to do regular maintenance on items just like you would if you lived in a stick and brick house. I try to take care of our water heater a little more frequently because it is only a 10 gallon size. Yesterday the day was warm and perfect for performing this task. 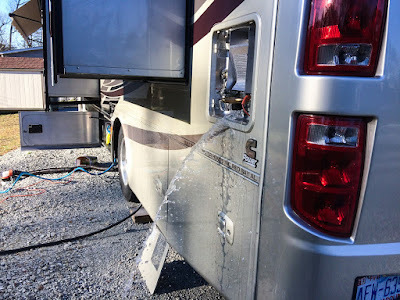 The job requires shutting off electricity to the water heater, emptying the tank, inspecting and replacing the sacrificial anode, if necessary, and washing out the "sand" that precipitates out of the water heating process before reinstalling the anode and refilling the tank. I turned off power to the water heater then removed the sacrificial anode which drained the tank. 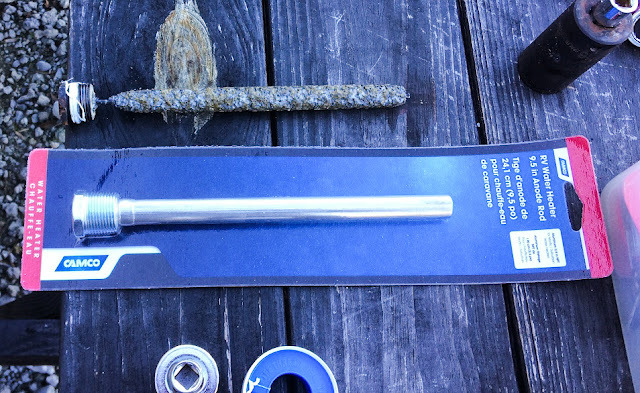 While there is still some metal left on the old anode rod (at top), I purchased a new one because I did not want to risk it getting used up before I could replace it. 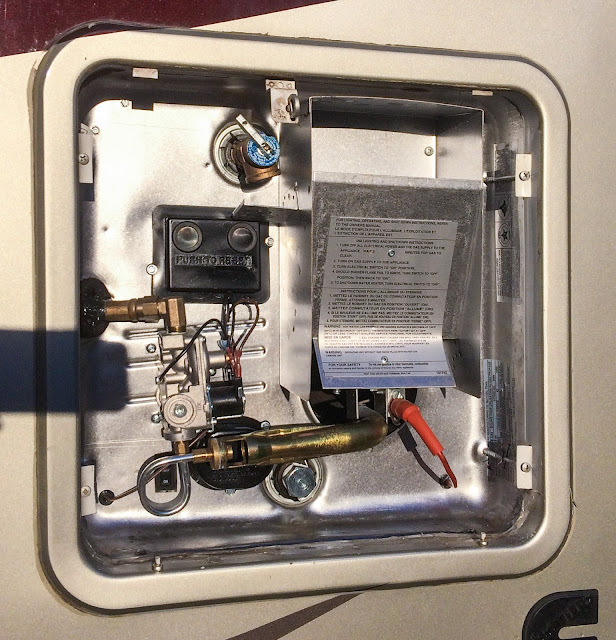 This photo demonstrates the result of the galvanic process that takes place inside the water heater. The anode is made from a metal alloy with a more "active" voltage (more negative electrochemical potential) than the metal of the structure it is protecting (the cathode). The anode is usually made from magnesium, aluminum and or zinc. A few years back we have no hot water. After much investigation we found the culprit. Corroded anode. So now we know.